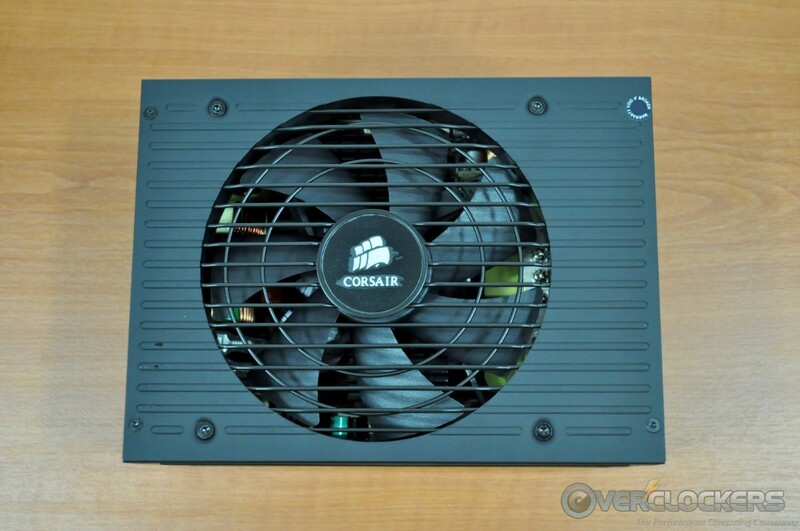 Corsair undoubtedly is one of the most active players in the PSU market. 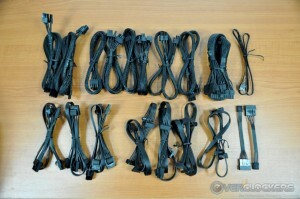 Aside from several series and tens of power supply units available, they have a very active R&D department as well. Today we will be having a look at the AX1200i, the second most powerful unit of the premium AX series. 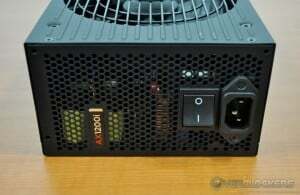 Although the AX1200i is only the second most powerful unit after Corsair’s pinnacle, the AX1500i, the price difference between these two units is $150, making the AX1200i a more reasonable choice for anyone who is financially conscious. How well it can perform? We will see that in this review. 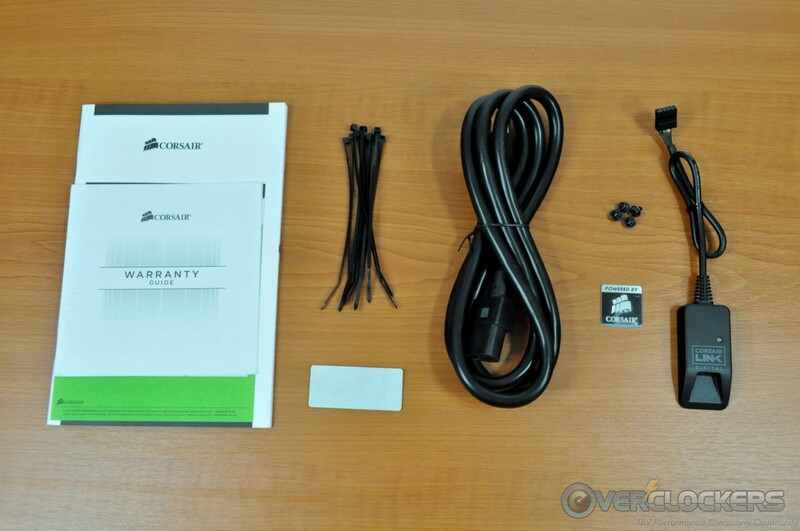 Here is a summary of the features and specifications as provided by Corsair. 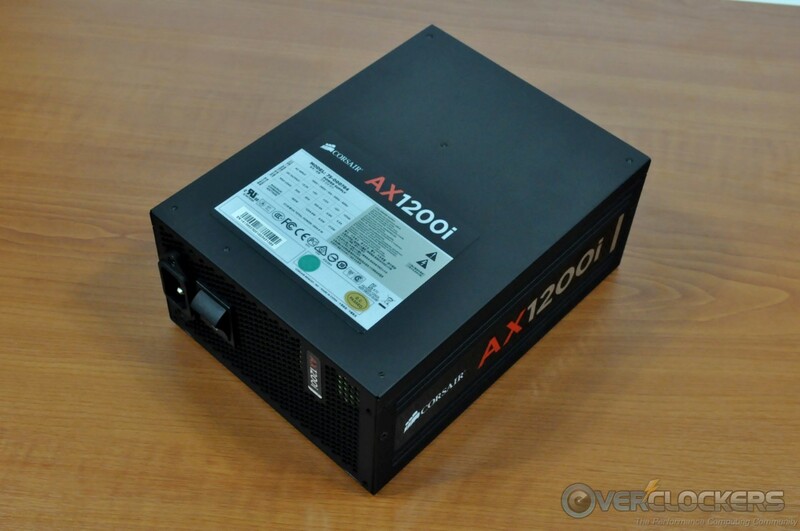 The packaging of the AX1200i is large, with a simple design based on a black/red theme. Inside the box we found a typical power cable, four black screws, a few cable ties, a case badge and a manual. There is also a hub for the Corsair Link interface, which needs to be connected to an internal USB 2.0 motherboard header. 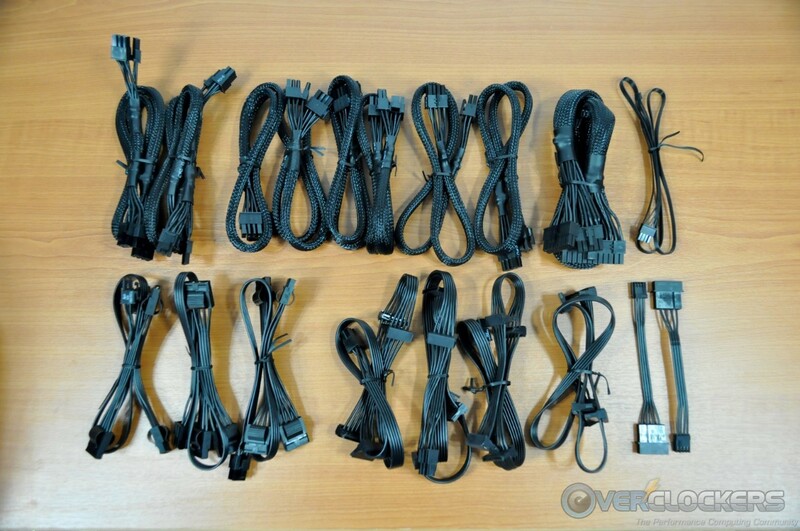 Finally, there are the many modular cables, all of which are black. The ATX, CPU and PCI-E cables are sleeved, while the rest are “flat” type cables. Externally, the appearance of the AX1200i has it standing out from typical run of the mill units. It is a very long unit measuring 20 cm (7.87 inches) deep without any cables attached. Therefore, a suitable case is required to ensure compatibility. A metallic badge with the company logo has been placed at the center of the parallel-grid fan guard, the wires of which are in line with the engravings on the chassis. Similar engravings can be seen at the sides of the unit, above and below the decorative stickers. Another small decorative sticker can also be seen at the rear of the unit, next to an oversized on/off switch. Finally, the sticker with the specifications of the unit can be found covering about half of the top side of the unit. The front of the unit is almost fully covered by the numerous modular cable connectors. It is interesting to note that the PCI-E and the EPS cables are sharing the same connectors. 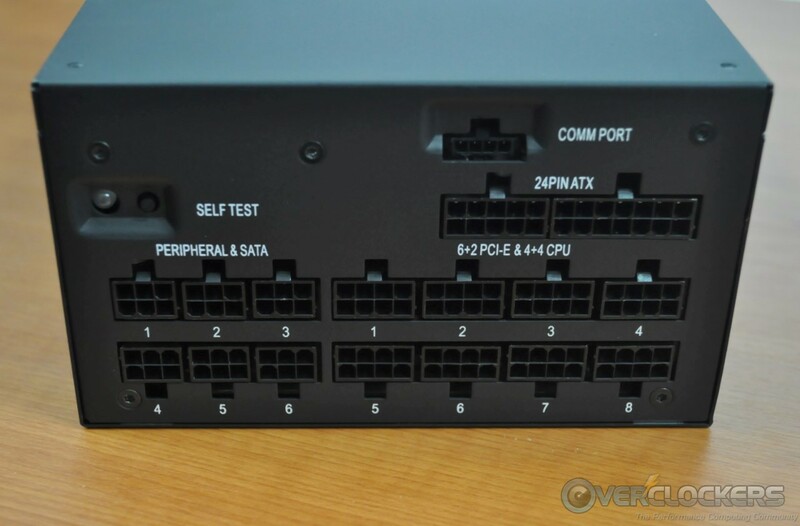 There is also a self-test button, which the user can press to perform a basic test of the PSU. 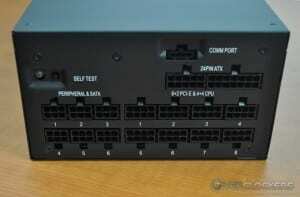 The PSU should not be connected to a system while using this feature. 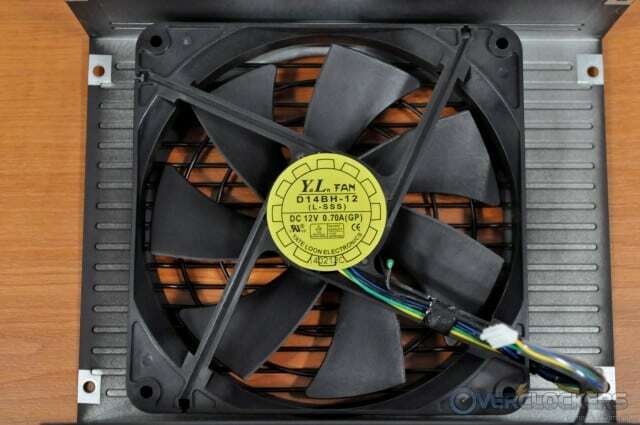 Inside the PSU, we found a Yate Loon D14BH-12 fan. It is a very loud ball-bearing engine fan, with a maximum speed of 2800 RPM. 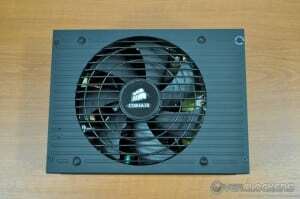 Thankfully, this fan is being thermally controlled by the PSU and will not even start under low loads. 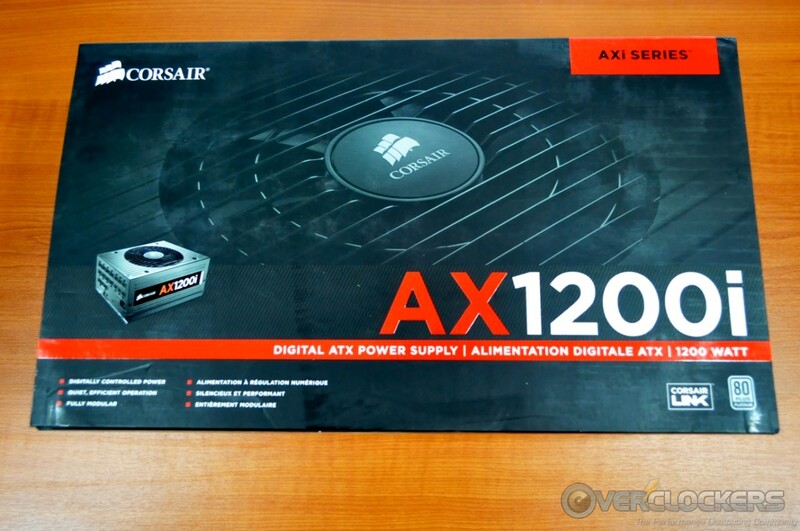 Corsair based the AX1200i on a Flextronics design, who is the OEM behind the AX1200i. It is a cutting-edge design, ditching the traditional PFC controller for a digital signal processor (DSP), LLC topology and DC-to-DC conversion circuits. The filtering is very good, with the AC receptacle being an EMI filter on its own and 4 Y capacitors, 2 X capacitors and 3 coils more on the main PCB. The build quality is excellent overall, with Nippon Chemi-Con supplying almost every capacitor, with the exception of a few Rubycon capacitors. Nichicon supplies the polymer capacitors. For the testing of power supply units, we are using specialized equipment, details of which may be found in this article: Power Supply Testing Equipment & Methodology. At this point, we should also stress that opening a power supply not only voids your warranty, but also is very dangerous even if the power supply is not connected to an AC outlet. The capacitors of modern PSUs can easily store enough energy to kill any adult. There are no serviceable components inside a power supply and one can gain nothing by opening it, so just do not do it. 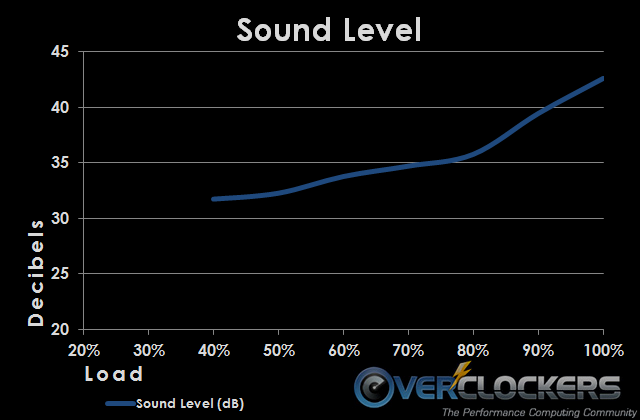 The performance of the Corsair AΧ1200i is excellent. The regulation of the 12 V line is a very tight 1.1%, while the minor lines produced a little worse result, at 2% and 2.2% for the 3.3V and 5V lines respectively. 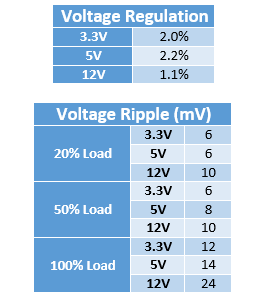 We got even better results during our voltage ripple filtering tests, with just 24 mV developing on the 12V line at full load. This is just a fifth of the 120 mV limit and an astonishing figure for a 1200 watt PSU. Similarly, the voltage ripple developing on the minor lines is very low as well. The efficiency of the Corsair AX1200i unit meets the 90%/94%/91% 80 Plus Platinum requirements at 20%/50%/100% load respectively. 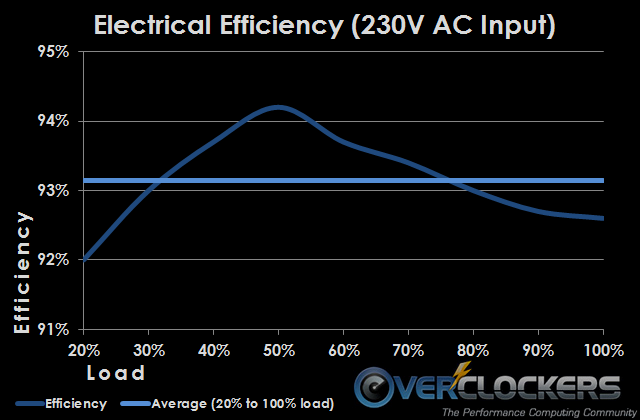 Even if only barely, the power supply surpassed 94% efficiency at 50% load, reaching 94.2% efficiency. 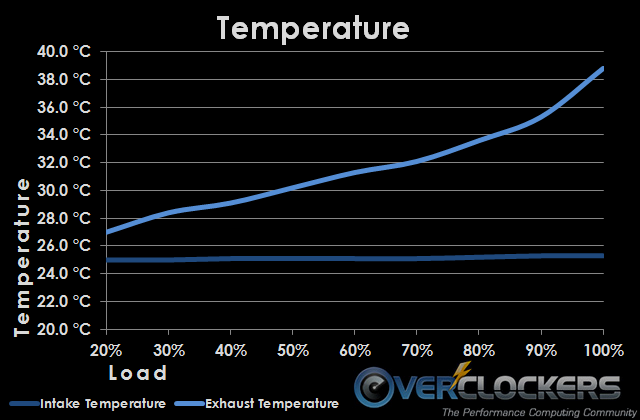 At 20% load the efficiency is 92% and at 100% is at a comfortable 92.6%. The average efficiency of the AX1200i across the entire load range is 93.14%. 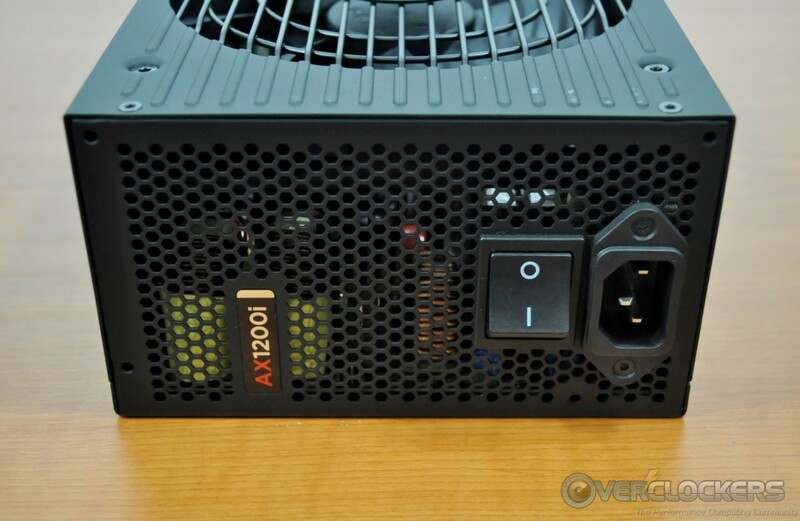 Due to its design, the fan of the AX1200i will not even start if the unit is lightly loaded and not overheating. As such, the fan started at 40% during our testing. Nevertheless, the fan was very quiet up to 70% load, at which point the AX1200i became clearly noticeable from one meter away. After that point, the speed of the fan would increase much faster, reaching >40 dB levels under heavy load, which are uncomfortable for continuous exposure, but we can hardly imagine a scenario that a 1200 watt PSU would remain heavily loaded for prolonged periods of time. The operating temperatures of the Corsair AX1200i are very good for a unit with such a massive output, even for one with an 80 Plus Platinum efficiency certification. The temperature differential is hardly more than a couple of degrees at low loads and goes up to a maximum 13.5 °C at maximum load. It is because of the effectiveness of the cooling system and the efficiency of the components that the AX1200i can stay quiet while delivering significant amounts of power. 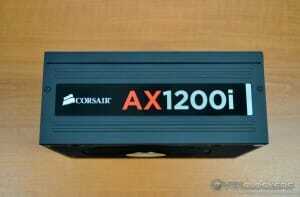 The Corsair AX1200i is a true enthusiast’s PSU. It is capable of powering even the most powerful gaming systems and workstations, and although it is no longer the most powerful PSU that the company offers, the much lower retail price makes it a far more sensible choice than the AX1500i. That being said, the AX1200i is not cheap at all, as the unit is retailing for $259.99 after rebate and is a product clearly meant to satisfy extreme users with ludicrous power requirements and not for the average Joe. On the other hand, the high price of the AX1200i is easily justifiable by both the quality and the performance of the unit. In terms of quality, the AX1200i is an engineering jewel, both on the inside and outside of the chassis. Corsair performed an excellent design job and selection of components and Flextronics is an admirable implementation as well. Performance wise, the Corsair AX1200i is simply exceptional. 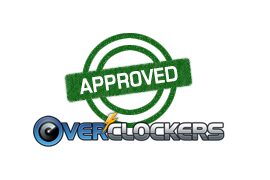 The efficiency is very high, as expected from a unit that has been 80 Plus Platinum certified, allowing it to hold low running temperatures across the entire load range. The low temperatures allow for the silent operation of the unit, the fan of which does not start at all at low loads and will not even become noticeable before the load reaches 70%. As for the voltage regulation and ripple, the numbers speak for themselves, with the AX1200i delivering the best performance that we have seen up to this date. 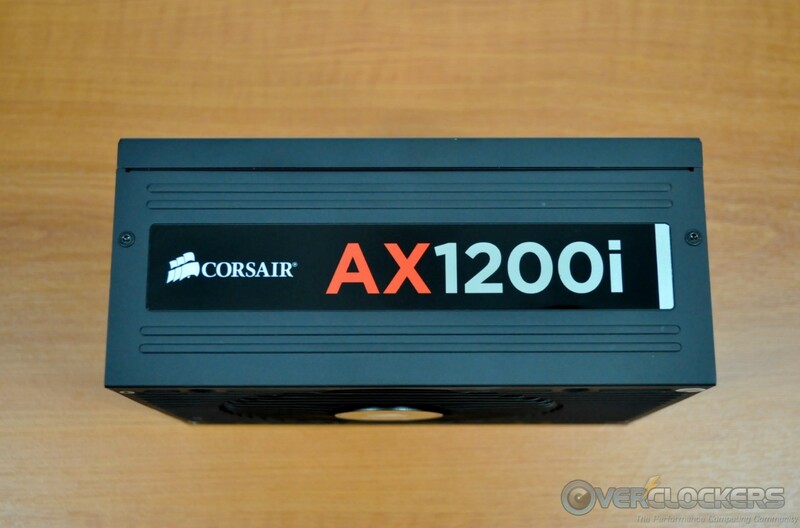 Unquestionably, the Corsair AX1200i is an excellent, full featured PSU. The question however, is whether you actually need such power for your system. Simply put, if you have anything less than a triple SLI/Crossfire system or a dual CPU/GPU workstation, investing on such a powerful unit will most likely be a waste. 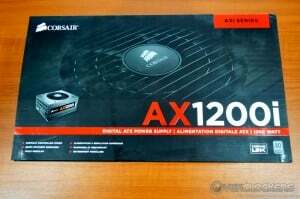 If however, you do want/need that much power, the Corsair AX1200i is very well made, performs admirably, and for its class and competition, is reasonably priced; therefore, it comes highly recommended. I see no mention of Corsair Linc in the review. This is a fairly prominent feature of the unit, and it appears entirely untested in this review. I specifically bring this up, as I bought this supply specifically because of the Corsair Linc feature, which I have found has many issues. First Corsair has been trying to get the Linc software to work with Win8, and appears to be having many issues. The number of customers unhappy with how Linc is working with Win8 at Corsair's own forum, is really large. There seem to be issues with the entire product line that relies on Linc. Next, there appear to be issues with measurement performance of the Linc software, and it reporting very erroneous results. If users want the supply, just as a supply, that is likely fine. If users expect to alter the fan profiles, or monitor power consumption as touted in the specs, they will likely encounter lots of issues if using Win8. Beware of Corsair Linc on Win8, it just isn't reliable at this point. I feel obligated to point out that while the review states this isn't a pfc unit, the input side includes a standard APFC circuit. There's even a picture of the APFC bits. The regulation setup is a DSP (rather than analog) run interleaved LLC setup rather than a "classic pwm" setup like double-forward or full bridge, I think that might be what the reviewer is talking about. The review does not state that there is no PFC, but that the traditional approach has been ditched for a DSP controller. It didn't occur to me that this wasn't written clearly enough. There is no PFC controller or supervisor, they have been traded for a DSP that controls the PFC by receiving feedback from multiple points across the platform. The DSP also controls the PWM. Therefore, no, it does not include a "standard APFC approach". That would require the presence of a standard PFC controller and a supervisor IC, which is not the case here. Depends on how you're looking at it, I suppose. I'd call an inductor or two, a MOSFET or two, and a diode or two, with a bulk storage cap or two, pretty standard. I understand the angle you're coming from now, though. How's the soldering on this thing?